We were looking for some new blinds for our living room, so went to a blinds emporium in Colchester. The other brochures were pretty much the same. Almost all of them had a woman on the front. I say "almost all" because a couple were empty of people (the one bottom-right is an example) and another had a picture of an eight-year-old boy on it. The women weren't all white, but they did all look to be in their 20s and 30s. 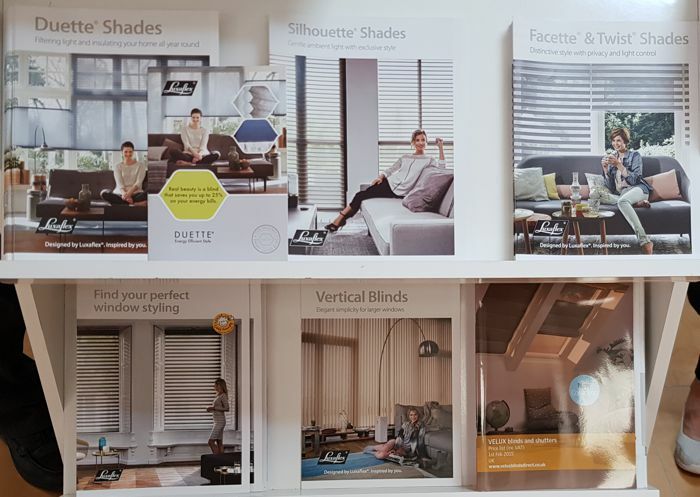 There must be a reason why they mainly use female models on the covers of blinds brochures. That foot you can see cropped on the right, by the way, belongs to my wife. She was choosing the blinds; I was just her ride to the blinds shop.